Most frequently, when one tooth is missing, one implant is placed. Because many of the larger teeth in the back of your jaws have two or three roots, the most common approach is to replace missing back teeth with larger implants. 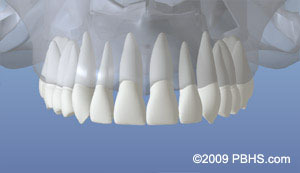 If a section of teeth are missing in one area (or quadrant) the number of implants depends on the span length of the final restoration. 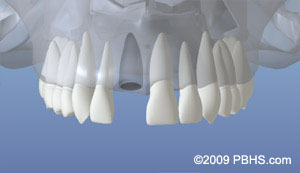 Typically two to three implants are required to replace three to six missing teeth. When all of the upper and/or lower teeth are missing, the number of implants depends on the final restorative option. Typically six to eight implants are placed on the upper jaw and a minimum of four to six implants are placed on the lower jaw.